NASA Computer Networks Have Potentially Catastrophic Security Holes ! 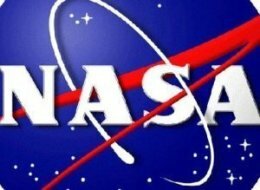 NASA’s internal computer network is full of holes and is extremely vulnerable to an external cyberattack, an audit by the Office of the Inspector General has found. Even worse, it appears several of the vulnerabilities have been known for months, yet remained unpatched. “Six computer servers associated with IT [information technology] assets that control spacecraft and contain critical data had vulnerabilities that would allow a remote attacker to take control of or render them unavailable,” the audit report released today (March 28) by Inspector General Paul K. Martin said. It is not unusual for previously unknown network security holes to be found in large organizations. In that light, Martin’s audit might have been seen as positive for revealing the vulnerabilities. But it’s long been known that security on NASA networks is weak. Martin’s office released a previous audit report nearly a year ago, and since then nothing has been done to remedy the situation. British hacker Gary McKinnon is awaiting extradition to the U.S. for allegedly hacking into NASA’s networks, as well as those of the Department of Defense, in 2001 and 2002.